What if each one of us where trillions of semi-independent functions each with their own evolutionary agenda? What if? That’s exactly what biological science is suggesting is true. This could be startling and thought provoking news to many people. 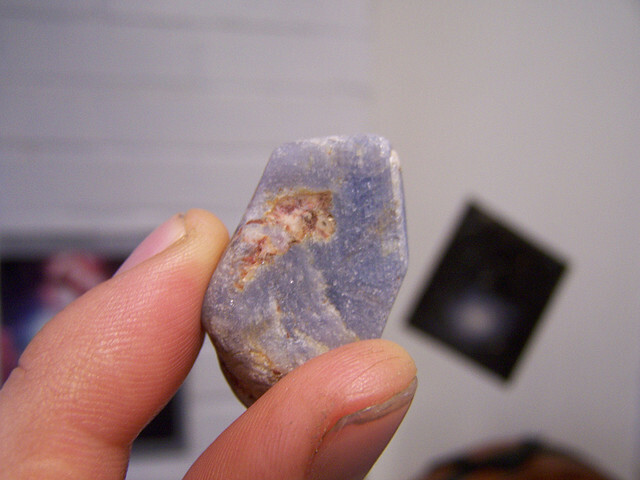 It raises lots of questions – a key one being “What is Self?”. Where does your sense of “self” come from if there’s no part of your brain that generates it. This is the headline question at the Science & Nonduality conference running first in The Netherlands and then later in California this year. This video is well worth a watch. What does “self” mean to you? Why can women propose on a leap year? Tradition suggests that women can propose to their boyfriends or the man they liked the most on February the 29th. Women can propose on leap years. But why? The short answer is that we’re not sure. The most popular legend concerns St Patrick and St Bridget. 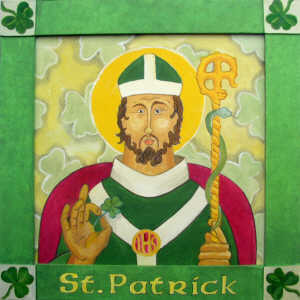 Saint Patrick was a Christian missionary, 387 AD to 493 AD, and widely recognised as the patron saint of Ireland. In the St Patrick’s leap year legend Saint Bridget complained that women could not propose to the men in their lives. Saint Patrick began by suggesting women could propose but only once every seven years. According to legend, Saint Bridget bargained that seven year window down to every four years. The 29th of February is sometimes known as “The Ladies Privilege” and is surrounded by many myths. One myth is that it is Scottish law, dating from the 13th century, that any man who refuses the proposal from a woman on the 29th must pay £100 in compensation. It was believed failure to pay the fine would result in terribly bad luck. £100 was an incredible amount of money back then. A twist to that myth it was also suggested that if the woman wore something scarlet and the man refused then he would be spared the bad luck if he could not find the £100 fortune. It is most likely that the legend of girls being able to propose to boys in the leap year – either for the whole year, or more commonly the leap day itself, simply arose to the day being outside the normal calendar. Outside the normal calendar gave cultures a chance to act outside the normal behaviours. Are you planning to propose on the 29th? Have you been proposed to on the 29th? Please do share your experiences in the comment section below. Do you have any theories of your own as to how this custom came about? This video explains what a leap year is and why we have them. Years are based on the Earth travelling around the Sun. However, the calculations don’t evenly fit into exact days – despite our best efforts. The leap year is part of the adjustment. It’s all connected to the sun destroying the planet. Kinda. Are you doing anything special to mark this leap year? Does Santa Claus have a meaning? Where does the origin of the Santa Claus story come from? As it happens the modern Santa is largely a blend of Saint Nick and Father Christmas from the United Kingdom. The name “Santa Claus” is from the German “Sinterklaas” and has changed over the years. This short video gives you all the background you need. Did you think Coca-Cola helped create the Santa Claus myth? This video seems to suggest they only helped establish the current appearance. What about making a return of some of the elder Santa myths? Fancy some Christmas gnomes popping down your chimney on the solstice? In the Northern Hemisphere tonight there will be a Harvest Moon. This is the full moon that happens to be closest to the autumn equinox and is special as the time difference between moonrise and successive evenings is shorter than usual. The Harvest Moon tends to be large and more colourful than other moons of the year. This is because of the tilt of the earth and reflections from the atmosphere. The Harvest Moon gets its name from the extra light it gives farmers – which mean in times before electricity that they had even longer to harvest their crops. The Harvest Moon, however, has other names. It’s known often as the Wine Moon as it is through this is when grapes are plump and ready for collecting. It’s called the Singing Moon as the festivals held to mark it would involve signing – it is the last full moon before Halloween. The moon has been called the Elk Call Moon too. The native American tribes may call a Harvest Moon that rises in September the Full Corn Moon and some European people may refer to it as the Gypsy Moon. The Chinese call the moon the Chrysanthemum Moon because of the illusion of the colour change. The Celts would use the Harvest Moon to mark the time before Samhain and considered it a blessing. It would be a time of crop collection but also of large parties; signing, dancing and drinking. The Norse noted that the Harvest Moon was often the first full moon after the first frost of the winter seasons. They considered it to be the most powerful moon of the year and associated with the trickster god Loki. An old Chinese superstition suggests that your ears may fall off if you point to a moon. 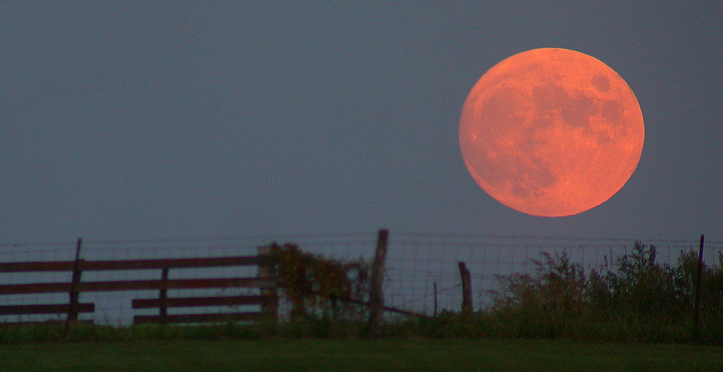 Will you be watching the Harvest Moon tonight? What does it mean to you? The original celebration was not a Christian one. In Anglo-Saxon history the festival was originally for the goddess Ēostre, also sometimes written as Ēastre. Ēostre also gives her name to Eosturmonath, one of the months in the Anglo-Saxon calendar, and is believed to have been either a goddess of light or fertility. Experts who have debated the role of Ēostre in Anglo-Saxon culture include Jacob Grimm, one half of the Brothers Grimm, and co-author of Grimm’s Fairy Tales. As pilgrims converted Anglo-Saxon cultures to Christianity they were aware that the Ēostre worship festival occurred around the same time as the resurrection of Jesus. In order to help blend Christianity into the pagan cultures the two festivals were actively merged. The event became known as Easter and became Christian in focus. However, some modern churches, looking to distance themselves from the pagan origins of Easter, have started to use the phrase “Resurrection Day” instead. The origins of Easter eggs begin in the region of Alsace. References to the Easter bunny itself are included in the writings of Georg Franck von Franckenau, a German botanist, who lived from 1643 to 1704. It was German settlers who introduced the concept to the States in the 18th century. Pagan symbology includes the rabbit as an emblem of fertility. This ties in strongly with Ēostre as a goddess of fertility. Some suggest that the Easter bunny may be the avatar of Ēostre on earth. The Easter bunny is the product of two religions; Christianity and some forms of Anglo-Saxon paganism. It has been adopted into modern culture easily as it is also readily available for the commercialisation of Easter. What have you been told about the origins of the Easter bunny? 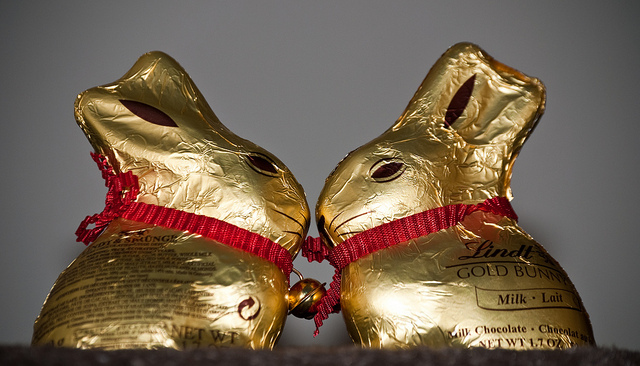 What does the Easter bunny mean to you? Or also long as tasty Easter eggs are forthcoming – does it matter at all? Picture credit: Iain Watson, released under Creative Commons. What is Féile na Marbh? The festival Féile na Marbh is Gaelic by tradition. 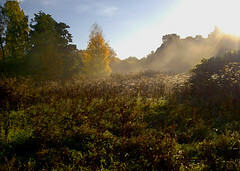 In Scotland and Ireland it has become bundled into Samhain. The phrase “Féile na Marbh” is Irish for Festival of the Dead. In the past the festival itself could have lasted up to three days; beginning at the end of October. As a result Féile na Marbh can described as being both Samhain (Oidhche Shamhna in Scots Gaelic) and All Souls’ Day as well. There alternative historical theories; with some suggesting that Féile na Marbh concluded at the end of October after a three day festival. It is widely accepted that bonfires are important for Féile na Marbh. One Irish custom begins with a ritual fire being lit atop of the Hill of Tlachtga. This signalled the lighting of fires across the country. Villagers would throw the bones of slaughtered catle into the flames. Hence the word “bonfire” from the origin “bone fire”. Villages would then re-light their homefires with flame taken from the main village bonfire; thus bonding the whole village together. Féile na Marbh is considered a time when the curtain between worlds is weak. A time when the words of the living and the dead are close. The practise of turnip carving comes from a Celtic attempt to fighten spirits off. The tradition of guising is still strong in Scotland. Children dress up as the dead (once again in the attempt to ward off the dead) and visit neighbours. Is Féile na Marbh a day or festival that’s important to you? How do you plan to mark it this year? It is not uncommon to find people talking about two types of Capricorns; both tend to be patient and practical, one tends to have a stronger drive for success and happiness. Capricorns are also sometimes known for being mean but this streak is as often directed at themselves as it is other people. Capricorns are prone to finding marriage later on in life and once the career path is firmly plotted. However, Capricorns make good partners and provide well for their partner and family. One thing to note is that Capricorns can be awfully strict as parents but will make whichever sacrifice is necessary to help their child progress. 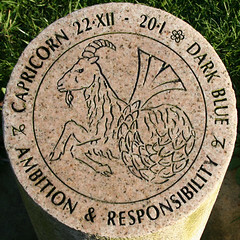 Capricorns work well by themselves and often have an aptitude for science. Capricorns are very independent at work and sometimes isolationist. Capricorns can make good leaders but can also be very slow to accept advice or help. It is usual to find Capricorns working for local authorities, government, publishing or finance. What’s your experience with Capricorns? How would you describe them? The Old English name for October is Winterfylleth which is said to refer to the Winter full moon. What does the month of October mean to you? September means the seventh month. September is the month where many Christian denominations celebrate the Feasts of the Cross. The feast commemorates the cross used in the crucifixion of Jesus. The Anglo-Saxons called the month Haligmonað (holy month). What does the month of September mean to you?